It’s a billion degrees and I love it. When you’re a person of low body heat who lives in a climate that, at it’s most vile, rivals the average temperature of Siberia, you embrace the heat. You celebrate the heat. You … add more heat. I’m the person who doesn’t bat an eye at turning on the stove or standing over a hot grill when it’s 90 degrees and I barely notice it. I’m babbling. Sorry. I’m just so excited about summer and grilling season and grilled pizza (!!!) that I can’t help myself. But what’s better than a piping hot grilled pizza, straight off the fire? It’s the closest most of us are going to get to having an authentic wood-burning pizza oven in our backyards (and if you can get closer, do feel free to invite me over). I used to love grilled pizza. I say “used to” because this was a childhood (and adulthood) favorite of mine that, like so many things, fell by the wayside when I had to clean up my diet and I’ve been struggling to make a successful pizza crust ever since. I’ve mentioned a thousand times before how much I love Simple Mills, the real-food baking mix (and now crackers, too) company that makes products only out of ingredients that you or I would have in our kitchens. And they’re delicious. I have to admit that discovering their pizza crust mix has put a severe damper on my ambition to develop my own pizza crust recipe. 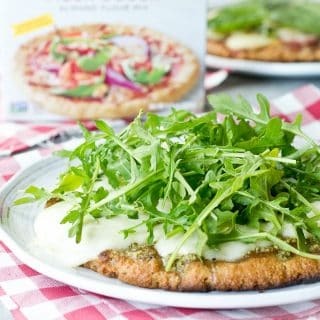 I was thrilled to find that the crust makes a grilled pizza as well as it does a baked one, though be aware that, whether you’re baking or grilling your pizza to perfection, you’ll need to pre-bake the crust (which you can do in advance if you want to) before topping and finishing your pie. The box makes 2 small crusts, which you can dress however you want. 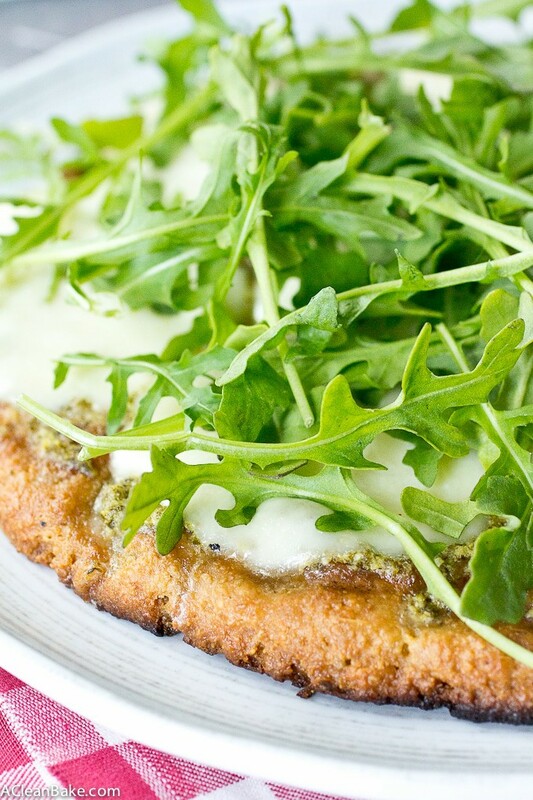 But I like a little variety, so I did one classic and one with schmancy with pesto, fresh mozzarella and baby arugula. Is your mouth watering yet? Well, what are you waiting for? Fire up the grill! Preheat the oven to 350F. Cover a baking sheet with a nonstick pad, parchment, or a layer of nonstick spray. In a large mixing bowl, whisk together the vinegar, oil and water. 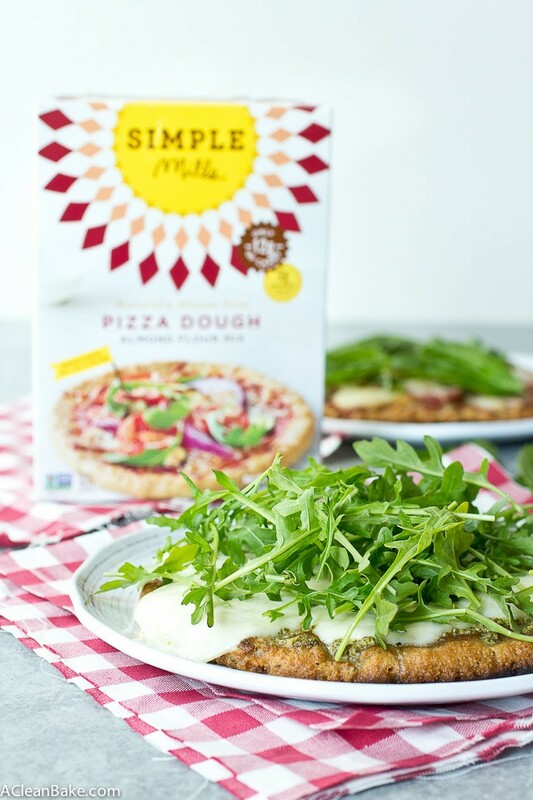 Add the Simple Mills pizza crust mix and stir until completely combined. Divide the crust batter in half and gather each into a ball. Place them about 6” apart on the prepared baking sheet and use your fingertips to flatten each into a disc about 8” across. Bake for 10-15 minutes, until the crust is firm enough to pick up, but not yet golden brown. Remove from the oven and allow to cool slightly. Top the first pizza: spread the sauce in an even layer across the crust, then sprinkle the sauce with a generous pinch of garlic powder, red pepper flakes, and dried oregano, if desired. Add a layer of meat and/or veggies, if you’re using them, then cover the whole thing liberally with shredded cheese. Top the second pizza: Spread an even layer of pesto over the crust, then place the mozzarella slices evenly over the pesto. Close the top of your grill and allow the heat to melt the cheese for about 5-7 minutes. If the bottom of the crusts start to burn before the cheese is fully melted, move the pizzas to the top rack of the grill (if you have it) or to an area of the grill that is not directly over a flame to finish cooking. 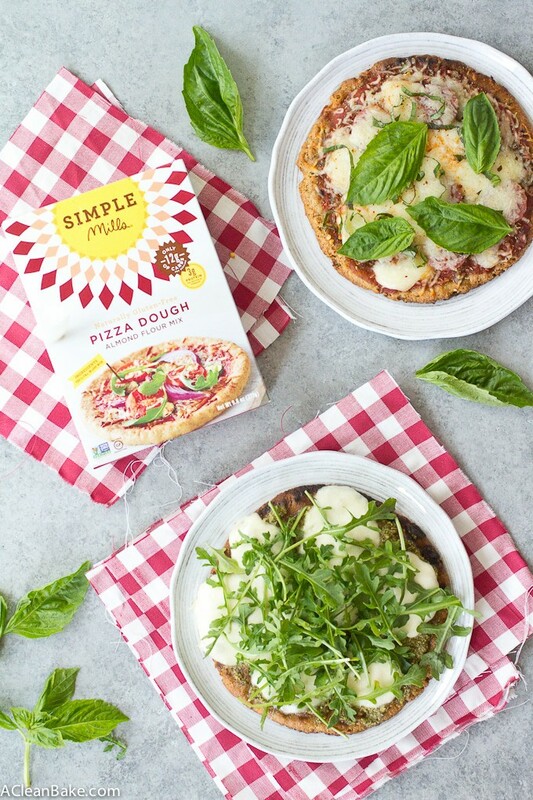 Garnish the classic pizza with sliced fresh basil, and top the pesto pizza with a generous handful of arugula, and serve immediately. If you can’t eat dairy, replace the shredded cheese on the first pizza with vegan cheese that melts well (such as Daiya brand) and the fresh mozzarella on the second pizza with sliced stone fruit like peaches or nectarines. 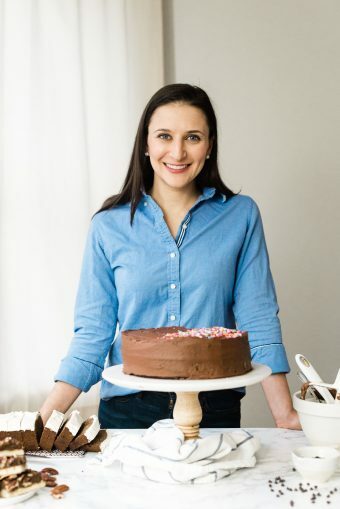 You can make the crusts up to 24 hours in advance: complete steps 1-4, cool the crusts completely, and store them in individual airtight zip top bags at room temperature until you’re ready to fire up the grill. Refrigerate cooled leftovers in an airtight container. It will keep well for up to 3 days. 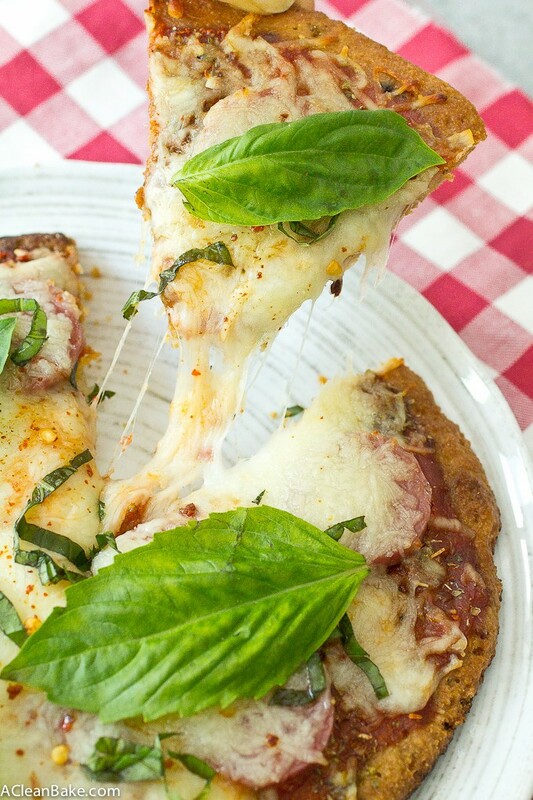 Oh you have to tried grilled pizza! It’s so crispy and delicious!